The youngest brother of Napoleon I, Jerome Napoleon Bonaparte, lived between November 15, 1784 and June 24, 1860. He ruled as Jerome I, King of Westphalia, between 1807 and 1813. From 1816, he bore the title of Prince of Montfort. After 1848, when his nephew, Louis Napoleon, became President of the French Second Republic, he served in several official government roles, including Marshal of France from 1850 onward, and President of the Senate in 1852. Napoleon authorizes the usage of Mesures usuelles, the basis of the Metric System. The metric system is an internationally agreed decimal system of measurement that was originally based on the mètre des Archives and the kilogramme des Archivesintroduced by France in 1799 Over the years, the definitions of the metre and kilogram have been refined • Napoleon's Grande Armée crosses the Niemen River and invades Russia. In October he begins his retreat from Moscow. Cognac has many beautiful cognac-vintage years. However, one is exceptionally good, that's the year 1811. The fun of this year is that not only the exceptional quality is so unique, but also the story behind it. The year 1811 is considered the most beautiful vintage year of the 19th century of many European wine regions. A long hot summer and warm, dry autumn meant an abundant harvest of perfectly ripe grapes. In the Cognac region where almost only the Folle Blanche grape grew, the vine reached an unprecedented level of perfection. Many attribute the exceptional weather to the remarkable astronomical event that dominated that year, namely: the Great Comet of 1811. 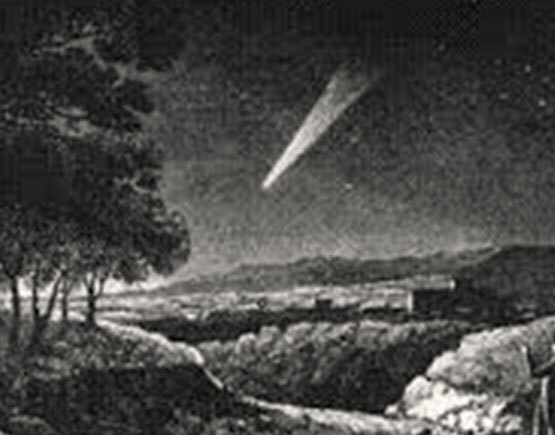 The comet was visible by astronomers for 17 months, but for two months – September and October 1811, precisely the time that grapes were harvested, it was apparent to the naked eye, at one point had this comet including its comets tail a larger diameter than the sun. By many, this was seen as a sign of a divine blessing about the harvest, which henceforth became known as "the Comet Vintage." The fun thing about this event is that since then, stars on Cognac bottles have been used to denote age. The 3-Star Cognac (VS category) of many brands hinted at this event.